Overnight car camping trips to the Oregon Coast and Arctic fronts of snow with cold temps don’t go together, at least for this Cali girl. 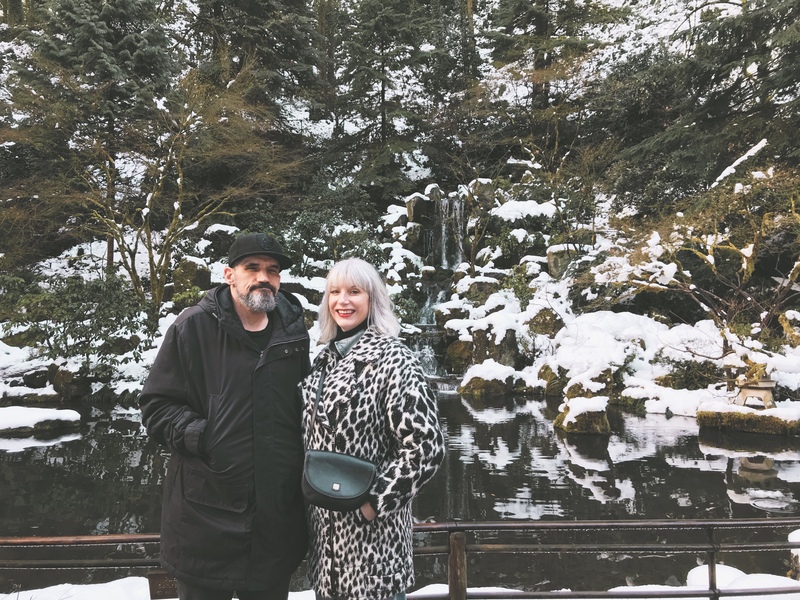 Instead, we went north and enjoyed the snow on a day trip to the Portland Japanese Garden. 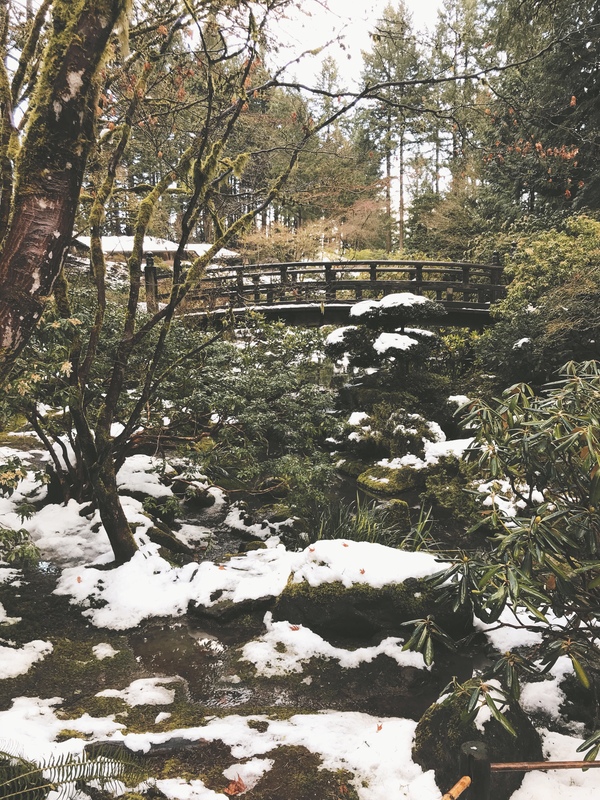 It’s been on my Oregon bucket list for a while, after reading about it being the best Japanese garden in the US. Chris and I got off to a late start because I always have some kind of freak out before a trip out of town. This time, it was about having a clean house in case of an accident, because I’m sure that’s what people care about at a time like that. Although, It was nice coming home to a clean house. We climbed the short hill to the opening of the park and the modern, glass walled cafe. From there, we passed by the gift shop and headed to the Pavillion and the city overlook. It was not the best day for viewing Mt. Hood, unfortunately. Chris has been in a lot of pain lately with his shoulder and neck, but once we got going on the paths, he started to loosen up and enjoy it. We ended up loving all the ponds and water features, the statuary tucked into corners, and the manicured trees all dressed in snow. 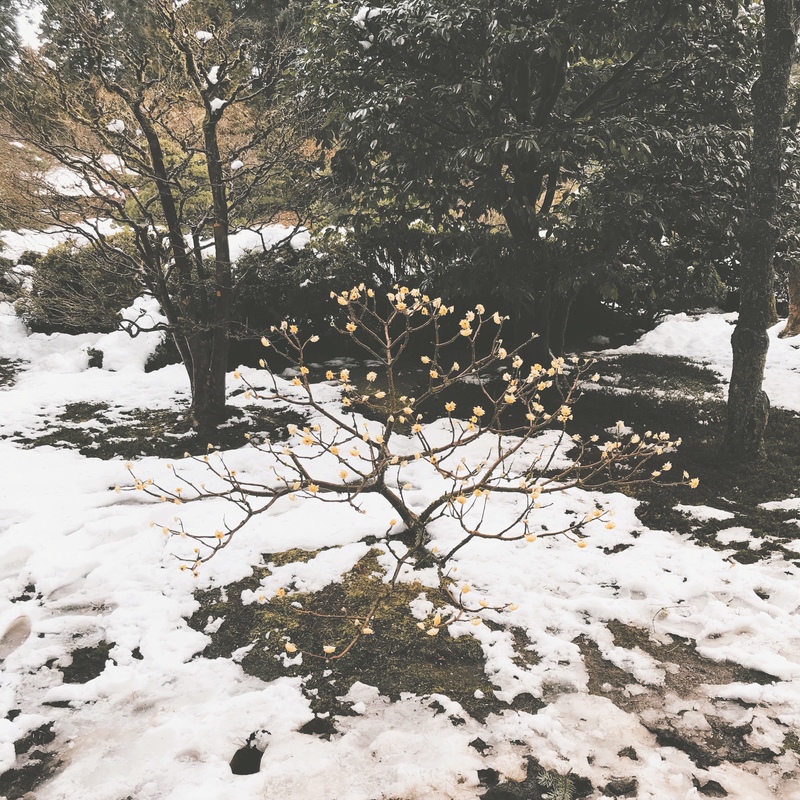 The contrast of the snow and the garden is so beautiful. It was such a neat experience, I really wish I had gotten one of the cafe, also. It was such a nice juxtaposition of the clear, modern structure with the stark natural environment. It’s on my bucket list as well. I am planning to visit it in August. Love the snowy photos. Thanks for sharing and hope Chris’ chronic pain has stayed away!